Kia ora! Greetings! 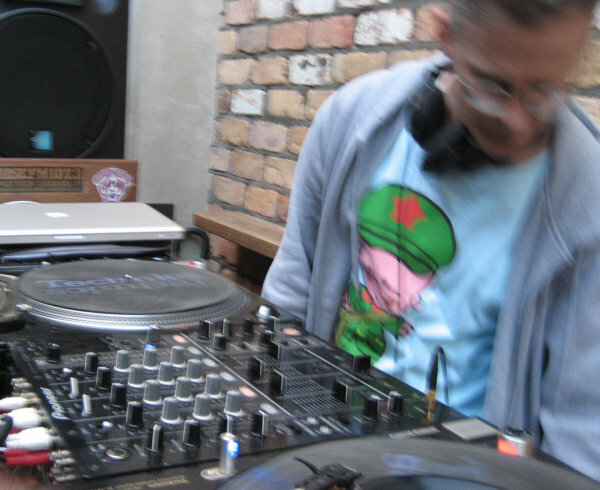 I'm a musician, DJ, writer, film maker, and pop culture fiend; based in Auckland, New Zealand. Musician... I make music as Dub Asylum - listen to some over here on Bandcamp. There's even a few songs to download for free. Previously I was in a band called Hallelujah Picassos - we reunited in 2013, and have played a handful of live shows and produced some new recordings - you can listen to us here on Hallelujah Picasos Bandcamp. Read our history here. My other current musical project is called Kilodee - listen to Kilodee here. I release my music thru my own label, Loopy Fruit Recordings. DJ... I do a radio show called Ring The Alarm on BaseFM on Saturday 10am til midday NZT (stream BaseFM online here or listen via Freeview) and have been DJing on this wicked independent station since mid 2004. The shows are available to listen to on Mixcloud. Previously I hosted a NZ reggae/downtempo show called High Noon Tea on KiwiFM, for 3 and a half years, til June 2011. I also presented a version of High Noon Tea for Air New Zealand's inflight entertainment. I co-hosted a magazine-style arts show called The Culture Bunker alongside Wallace Chapman on Radio 95 BFM for 6 years (1996-2002). Writer... Before I started this blog in 2003, I had various freelance writing gigs for NZ Musician, Real Groove, Pavement, Rip It Up, North and South, Selector, Lava, Planet, Stamp and other magazines. I won a highly commended award for my writing at the Media Peace Awards in 1998, and was presented with a certificate by Noam Chomsky. He had a firm handshake. I was impressed. I am currently working on several writing projects. 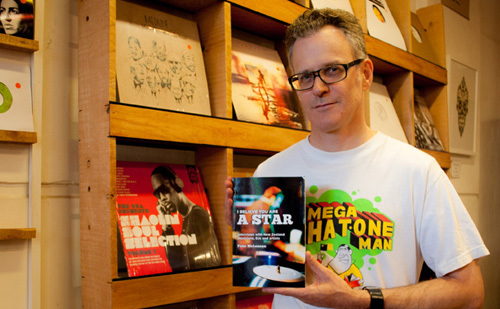 I published my first book, compiling articles from the above magazines focussing on interviews with New Zealand musicians and DJs, called I Believe You Are A Star, out now. I am also writing a book about the Deepgrooves record label and developing several other writing projects. I have been writing for the NZ music history website Audioculture.co.nz since its launch in 2013. I also spend a lot of time writing 140 character posts on Twitter (mostly music-related), as @dubdotdoh. The NZ Herald named me as one of NZ Twitter's Top 50 in 2012. "Flicking through his tweet stream is a somewhat similar experience to browsing through someone's record collection." Film maker... I've directed and shot several music videos (for Dub Asylum, Hallelujah Picassos, Trip to the moon, The Weather) and documentary shorts (on Chris Knox, White Zombie, Big Day Out 1997). I've also worked on about 30 music videos for the likes of Dam Native, Splitter, D-Faction, Fur Patrol, Greg Johnson, and HLAH (all directed by Jonathan King). I began playing music when I was at high school - my first band was called The Worst. The name was apt. Other members of the band were Jim Abbott (Ghost Club) and Troy Ferguson (BFM's Rock N Roll Wire/Roundhead Sessions). Oh my god, you're still reading this? Want me to make up some more stuff, just to keep you amused? Not gonna happen. Bye bye now. Run along.